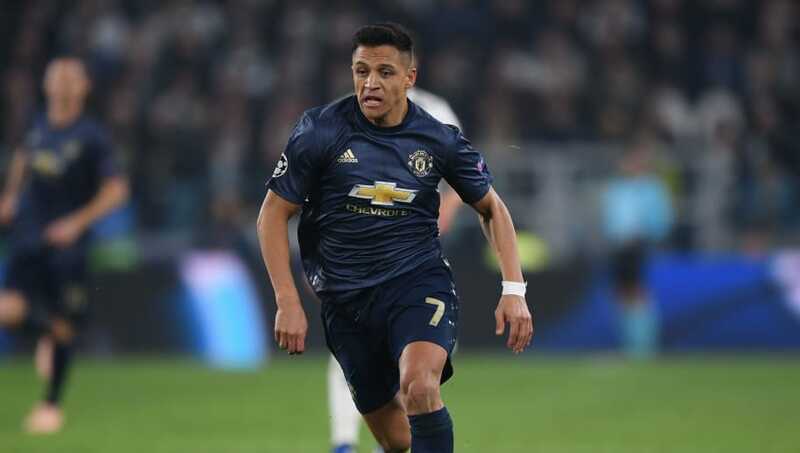 ​Alexis Sanchez is to be fit for this Sunday's Manchester derby, despite suffering what looked like a worrying knock in Wednesday's dramatic win over Juventus. With United trailing 1-0 in the 79th minute, Sanchez - deputising for the injured Romelu Lukaku - had to be withdrawn after suffering what appeared to be a thigh injury. Alexis Sanchez suffered a thigh injury in Wednesday's win against Juventus in the #UCL and is a doubt to face Manchester City on Sunday. A late strike from Juan Mata and subsequent own-goal from Alex Sandro soon after turned things round and sparked wild celebrations in the ​United camp, but now the dust has settled, Mourinho and co turn their attentions to league duty. The boss, in his press conference this morning, confirmed that there are no fresh injuries, and shared further positive news that ​Romelu Lukaku may be set for a return from injury for the derby. “No new injuries,” Mourinho said, via the ​Manchester United website. “So from ​Juventus, we don't bring important injuries. We have 'touches' but I don't think any player that was available for Juventus will be out. If fit, Lukaku could return to the starting lineup for the first time in a fortnight, after missing clashes with Bournemouth and Juventus with a hamstring injury, and dropping to the bench for the prior fixture with Everton due to poor form. Four goals in 14 appearances so far this season have seen him recently lose his status as outright first choice striker, and with ​Sanchez performing well in the role in the visit to Juve, he has a fight on his hands to reclaim the spot for the derby and beyond.